Here's how to use walking for exercise, no matter how much time you have or where you're able to work out. If you’re trying to get in shape, you don’t need to start off doing CrossFit or other types of intense training. In fact, you can start much smaller and use walking for weight loss. It’s easy, it’s free, and it’s a great way to kick start new fitness habits. 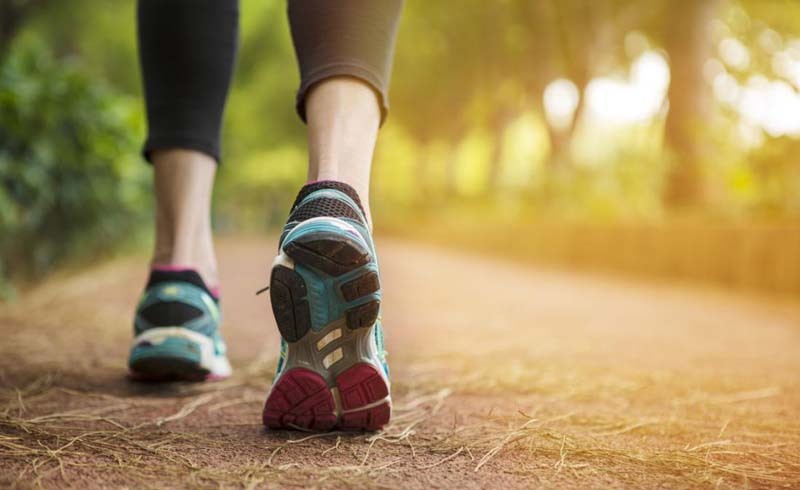 To help you get the best results, we’ve consulted a few trainers to help you figure out exactly how to use walking for exercise, no matter how much time you have or where you’re able to work out. It’s best to begin with manageable expectations when starting to learn how to lose weight by walking. “If you are new to it, I would start out with building up endurance before moving on to intervals,” says personal trainer Jamie Logie. “Go at a comfortable pace that allows you to carry on a conversation. If you can’t do that, then it’s a little too intense. 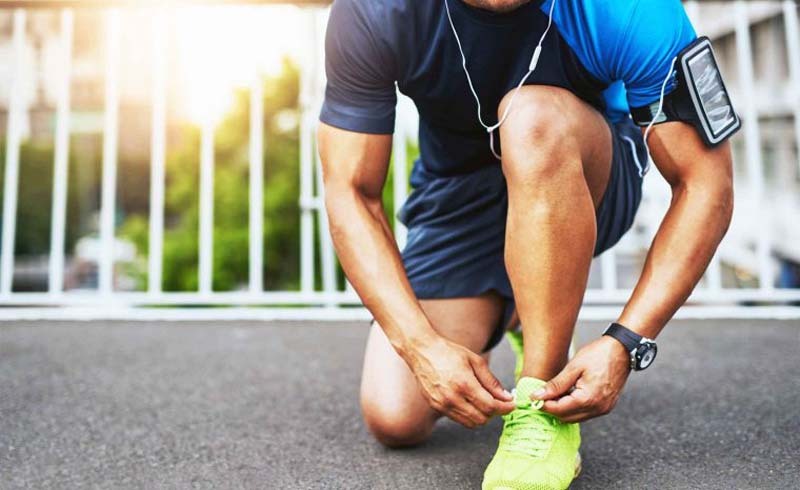 Go for an amount of time that doesn’t wear you out, but instead leaves you wanting more, and build up a little bit each time.” To get yourself motivated initially, consider these creative ways to lose weight walking that help prevent boredom. It’s best to incorporate walking for weight loss daily, and even if you don’t have a ton of time, you can still make an impact by just walking 20 minutes a day. With a shorter amount of time, you’ll want to kick things up a notch and incorporate some high-intensity interval training (HIIT). A HIIT walking workout involves alternating between intense bursts of activity and fixed periods of less-intense activity. This can help you burn more calories while helping you build and maintain muscle, according to Shape. Here’s how to use a HIIT routine when walking for weight loss, according to trainer Brynn Putnam: Alternate every 60 seconds between brisk walking or running and slow walking. When brisk walking or running, you should be exerting 70 to 80 percent of your maximum energy. This means that by the end of 60 seconds, your heart is beating quickly and you feel pretty winded. When slow walking or actively recovering, you should be exerting 50 to 60 percent of your maximum energy. During this minute, your heart rate should slowly return to its normal resting state. If you’re only able to do walking for exercise, in 45 minutes chunks a few times a week, try these guidelines. Exercise physiologist Kate Vidulich breaks down exactly how to use this period of time to your best advantage. Every five minutes, you’ll change your intensity by measuring effort level, with 10 being your maximum effort. 0 to 5 minutes: Easy warm up walk (3/10 effort); 5 to 10 minutes: Moderate (5-6/10 effort); 10 to 15 minutes: Brisk walk (7-9/10 effort); 15 to 20 minutes: Moderate (5-6/10 effort); 20 to 25 minutes: Brisk walk (7-9/10 effort); 25 to 35 minutes: Moderate (5-6/10 effort); 35 to 40 minutes: Brisk walk (7-9/10 effort); 40 to 45 minutes: Cool down (3/10 effort). If you like using the treadmill..
Increase the intensity of your 30-minute routine by adding some incline intervals. “A good fat loss workout should be high-intensity to maximize calorie burn both during and post-workout,” says Putnam. “Incorporate hills to create a proportional shape and keep your metabolism ticking.” Here’s how: 0 to 5 minutes: Warm up at a 1 percent incline. You should be working at 50 to 60 percent of your max effort. 5 to 8 minutes: Briskly walk at a 3 to 4 percent incline. You should be working at a 60 to 70 percent of your max effort. 8 to 11 minutes: Briskly walk at a 5 to 6 percent incline. You should be working at a 60 to 70 percent of your max effort. 11 to 14 minutes: Briskly walk at a 7 to 8 percent incline. You should be working at 60 to 70 percent of your max effort. 14 to 17 minutes: Briskly walk at a 9 to 10 percent incline. You should be working at 70 to 80 percent of your max effort. 17 to 20 minutes: Briskly walk at a 7 to 8 percent incline. You should be working at 60 to 70 percent of your max effort. 20 to 23 minutes: Briskly walk at a 9 to 10 percent incline. You should be working at 70 to 80 percent of your max effort. 23 to 26 minutes: Briskly walk at a 7 to 8 percent incline. You should be working at 60 to70 percent of your max effort. 26 to 28 minutes: Slowly walk at a 5 to 6 percent incline. You should be working at 50 to 60 percent of your max effort. 28 to 30 minutes: Slowly walk at a 3 to 4 percent incline. You should be working at 30-40 percent of your max effort. “An awesome playlist can inspire you to push even harder during your workout,” says Putnam. “Pre-plan your mixes to coordinate with your walk for a bonus workout timer. For example, build a playlist of songs that increases and decreases in speed throughout your workout. Challenge yourself to walk with the beat: When the music goes faster, so do you.” Here’s a sample: 0 to 5 minutes: Walk to songs with a 75 to 100 BPM. This is your warm up, you should be reaching 50 to 60 percent of your maximum heart rate. 5 to 15 minutes: Walk to songs with a 100 to 128 BPM. Songs in this BPM range should put you in a brisk walk or light jog. You should reach 60 to 70 percent of your maximum heart rate. 15 to 20 minutes: Walk to songs with a 128 to 145 BPM. This should be your maximum effort exerted in your workout. Aim to reach 70 to 80 percent of your maximum heart rate. 20 to 25 minutes: Walk to songs with a 75 to 100 BPM. This is your cool down, and you should be at 50 to 60 percent of your maximum heart rate. Once you have been walking for weight loss for some time, you might want to consider ways to intensify your regular routine to keep your progress moving forward. “You can use ankle weights when outdoor walking becomes easier, but at this point, you also want to pick up your walking pace and start moving quicker,” says Logie. “Hand weights can be beneficial to incorporate more of an upper body workout too. Again, start light before moving up in intensity.” If you ever feel stuck, remember: There are always ways to make a walking routine even healthier.